Just here, in the Kyzylarai mountains, the highest point of Sary Arka, Aksoran peak (1565 metres), is situated. Exactly these places are considered practically the only big habitat of argali on the territory of Kazakhstan. Not to mention pine forests, which grow on the granite rocks and present particular interest for scientists being the most southern place of the pine habitat in the Central Kazakhstan ecosystem, bordering upon deserted areas. 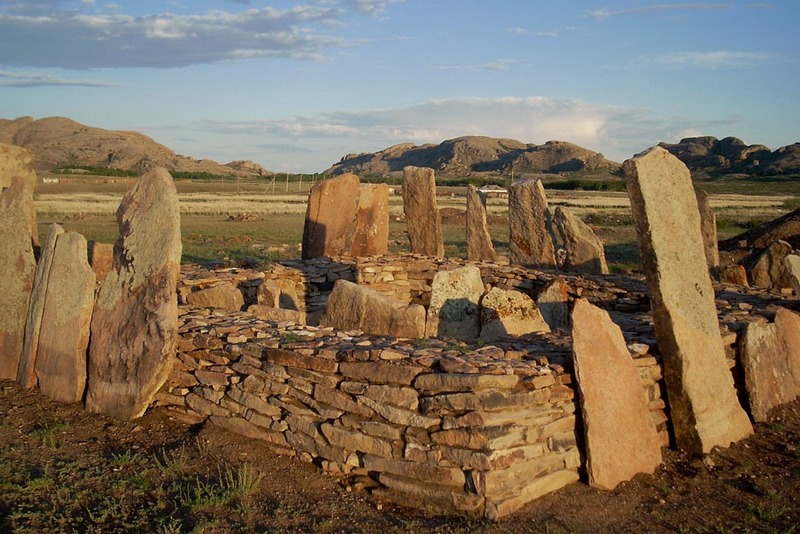 Historical heritage is also presented here in a quite interesting way: monumental granite sepulchers of Begazy and rock paintings, dating from the Bronze age, stone statues of the Turkic period and mausoleums of the period of the Kazakh-Jungar wars. Meanwhile the local population has managed to preserve its skills of producing articles out of felt and numerous national fermented milk products: koumiss, shubat, kurt etc. Such an amazing combination of pristine nature, ancient historical monuments and rather well-preserved way of life of the local population makes the Kyzylarai a great place to visit for those who like to explore something new and interesting for themselves. Hardly any foreigner has ever visited this area. 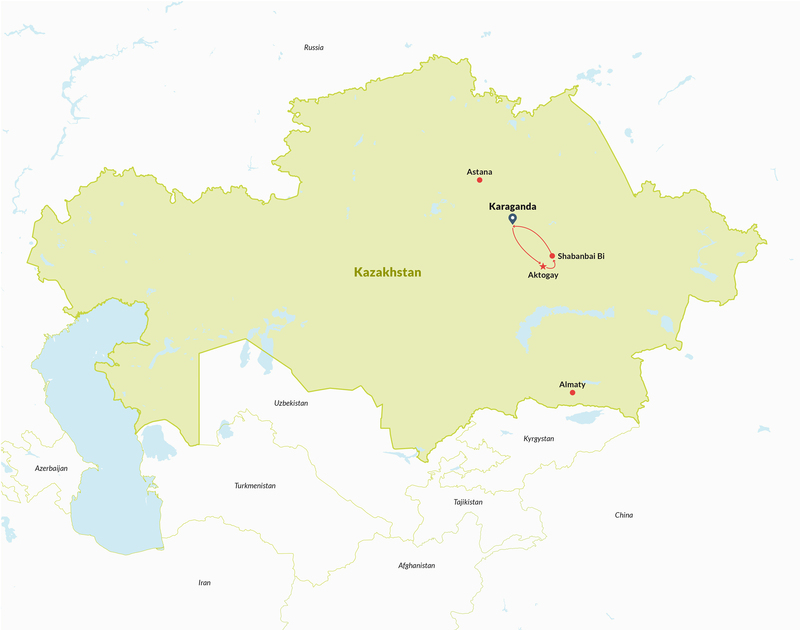 Trip from Karaganda to Aktogay (250 km, 3,5 hours). Excursion in the archaeological and ethnographical museum in Aktogai (Mon-Fri). Trip from Aktogai to Shabanbai Bi (40 km, 1 hour). Accommodation in a guesthouse, lunch. A walk round the village and its vicinities (on request and for additional payment – on horseback). Dinner. Breakfast. Trip from Shabanbai Bi to the northern foot of Auliye mountain (10 km, 20 min). Ascending Auliye mountain with a little lake on its top (30 min, climb – 130 m), admiring the beautiful panorama of the Kyzylarai mountain range to the south. Descending from the mountain, trekking along the eastern slope of Auliye mountain to the holy cave of Auliye (ab. 3 km, 50 min), visit to the cave. A walk back to Shabanbai bi (7 km, 1,5 hours). Lunch. Car ride to Akshkol village ( 18 km, 40 min). 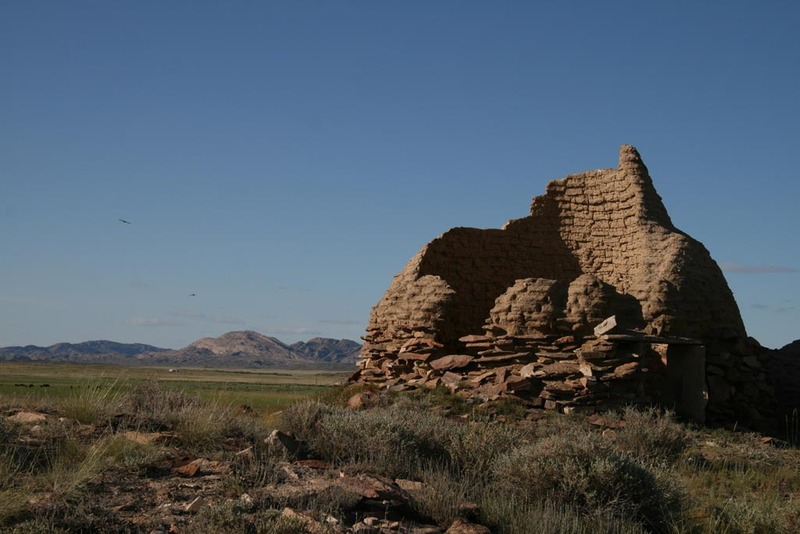 Walking tour around the late-bronze necropolis of Begazy, which is considered the most important archaeological discovery in the territory of Central Kazakhstan, as old as more than 3000 years. On request – a walk around the neighboring mountains. Trip from Akshkol to Shabanbai bi, on the way – visiting the Karatal winter hut, whose hosts produce koumys – a sour drink made of mare’s milk (May-August). Koumys-testing and watching horses-milking show. Way back to Shabanbay Bi. Banya (going to bath-house) and dinner. Breakfast. A walk to a small picturesque canyon. Lunch. Transfer back to Karaganda (290 km, 4,5 hours). The cost of this program at four persons is €295 p.p. and at two persons €450 p.p. For other group sizes please write to us.